Cape Town in Top Ten again! 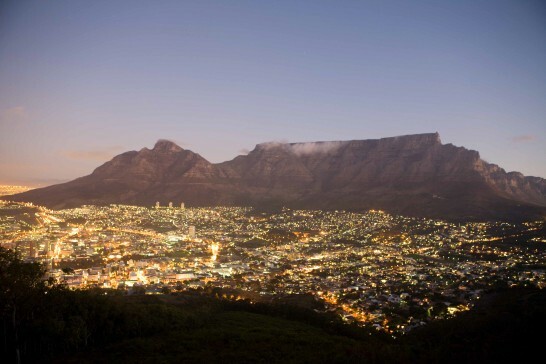 Cape Town was voted Number 1 destination in the world for 2011 by Trip Advisor members in May 2011. July saw the announcement of Travel and Leisure’s awards and Cape Town has made it to the Top Ten in the Best Cities in the World for 2011. Travel and Leisure is one of the most influential travel magazines in the world. This is the first time Cape Town has made the list at Number 6! This is the 16th year of the awards, and the first time Cape Town has made the Top Ten!!! The editors of Travel and Leisure asked their readers (magazine and online) to answer a questionnaire with 5 criteria per category on a scale of 1 to 5 (1 being poor and 5 being excellent) and each candidate had to have a mimimum number of responses! 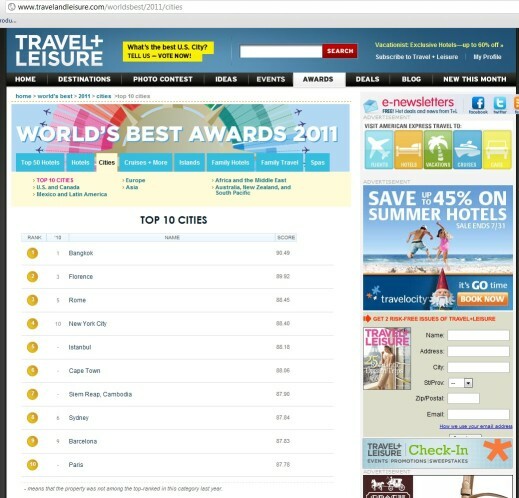 The results provide an “insider’s guide” of the best travel spots, cities, hotels, tour operators and airlines. The characteristics for cities included the following 5 criteria: sights, culture/arts, restaurants/food, people, shopping and value. So just in case you had any doubt about Cape Town as a destination city to visit….think again! What a city we have! We have the scenery and the sights, we’ve got museums, art galleries, theatre and more, amazing restaurants with sensational food to tuck into, fabulous people and characters, great shopping and great value (dictionary definition: – noun “relative worth, merit, or importance” ). Book your holiday to Cape Town and find out for yourself! This entry was posted in Accommodation, Activity, Holidays and Special events, People, Restaurants and tagged Awards, Cape Town, Travel and Leisure. Bookmark the permalink.